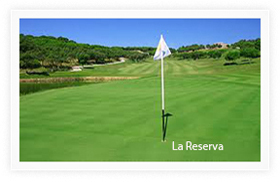 Golf Spain Vacations including Valderrama Golf Packages! Customize your 2018/19 Trip Now or Choose our most popular tour below. 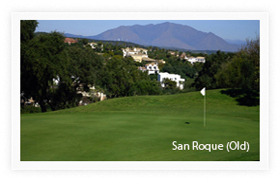 Play: Valderrama Golf Club, Sotogrande, La Reserva Golf Club, Old Course at San Roque Golf Club, Marbella Club, Real Club de Golf Sotogrande. Contact us for more details on this package or plan your own tour. 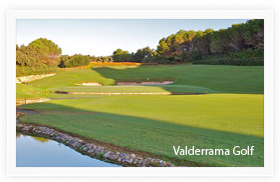 Play Valderrama Golf in 2018/19 > Confirmed Tee Times for your Spain Golf Vacation . Valderrama Golf is a 6356 metres par 71 with no hole of less than championship quality but it can be fully enjoyed by players of all handicaps. and various fixtures in the Volvo Masters series. For a confirmed tee time at Valderrama Golf Contact us. of repeat clients and referrals from our customers around the world.